Cannaregio is one of six sestieri or districts of central Venice. It's the large northern chunk of the town, between the lagoon and the Grand Canal. It runs from the railway station in the west to the Rialto Bridge in the east. Before I rented a flat in Cannaregio I wasn't particularly keen on the area. It seemed drab compared with the other sestieri of Venice, 'somehow sad' according to a local friend. But having spent more time in Cannaregio, I warmed to it considerably. Away from the one main street there are some very quiet residential areas, some picturesque canals and secretive, atmospheric corners. It's also good for practical reasons: it has convenient transport links, useful shops and decent bars and restaurants. It doesn't have the tourist cachet of San Marco or the youthfulness of Dorsoduro, but it's a good, well-balanced neighbourhood. As always in Venice, the best way to get around is on foot. However, taking the vaporetto can save time and energy, and Cannaregio is served by waterbus routes running down the Grand Canal, along the Cannaregio canal, and along the northern shore of the island. Cannaregio's main thoroughfare is the artery connecting Santa Lucia railway station (Ferrovia) with the Rialto. This chain of streets includes the touristy Lista di Spagna and wide Strada Nova. Along the way are lots of tourist-grade restaurants, a McDonalds, a supermarket, high street shops and souvenir stalls. The streets making up this route are not Venice's most appealing, but they're useful for shopping, unusually wide and many newcomers to Venice find them charming and photogenic (stay here for a while and you get spoiled). The Ferrovia-Rialto route is close to the Grand Canal, and roughly follows its curve, with several little lanes leading to viewpoints over the water. This is always a dramatic sight, but the most appealing part of Cannaregio lies quietly to the north, waiting to be explored. Three parallel canals run through a very peaceful area near Venice's northern shore, where the exploring traveller will find a couple of the town's more interesting churches. The quieter stretches of canal here can be amazingly silent and attractive. Heading back southwards you'll come to a livelier stretch of canal along Fondamenta della Misericordia, where there are some good canalside bars and places to eat. It's buzzing in the evenings but not enough to spoil the Venetian atmosphere, and the tourists are mixed with locals. Santa Maria dei Miracoli - our favourite church in Venice is in the far east of Cannaregio; an unmissable Renaissance marble treasure. 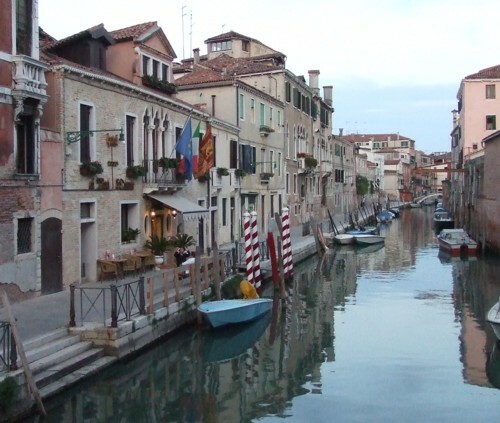 Fondamenta della Misericordia - an attractive canalside walk, with bars and restaurants. Campo dei Mori - a small square famous for its turbaned statues; reminders of Venice's wide trading links. Jewish Ghetto - the origin of the term 'ghetto'; home to Venice's Jewish population for centuries. Gesuiti - an overpowering church with an interior apparently by Laura Ashley: your jaw will drop. Oratorio dei Crociferi - small chapel with paintings by Palma il Giovane. Fondamenta Nove - a useful collection of ferry stops for boat trips to the lagoon islands. Cannaregio Canal - the second largest canal in Venice, this was once the main route into town. 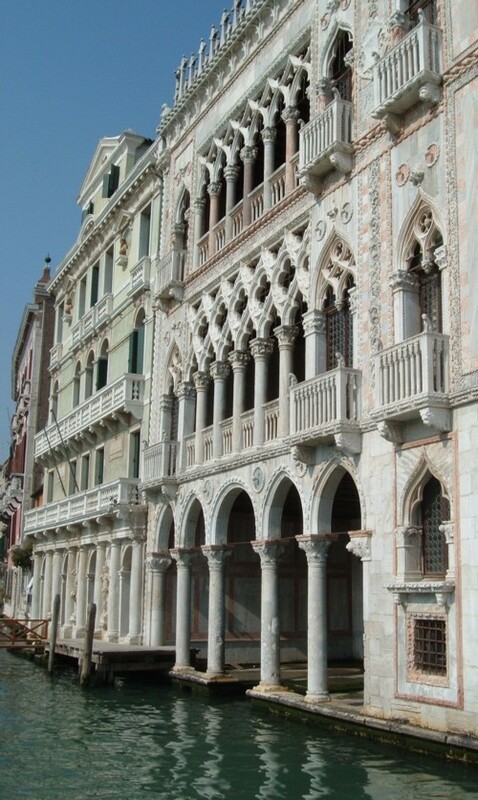 The Casino - housed in a grand Renaissance palace, Ca' Vendramin Calergi, Venice's casino is always keen to attract tourists, offering a free boat shuttle from Piazzale Roma and free entrance with a special leaflet (look at the tourist office or in your hotel). Richard Wagner died in the building: his rooms can be visited at pre-booked times. Unsurprisingly, there is a concentration of run-of-the-mill tourist hotels close to the railway station. Further afield, though, you'll find some more peaceful and rather special places to stay. One of the best is Palazzo Abadessa, a faded but charming old palace down a narrow alley from the Strada Nova, on a quiet canal. It has a garden and an outdoor terrace for breakfast and drinks. A romantic place to stay. I like La Cantina, a little bar with outside tables at Campo San Felice, despite the busy street. They serve good food as well as a selection of excellent wines. There are more nice bars on Fondamenta della Misericordia, including the famous Paradiso Perduto, and a range of restaurants including the good Ostaria da Rioba and the unpretentious Ristorante Diana. Up by the ferry stops at Fondamenta Nove is Algiubagiò, a fine, slightly pricey restaurant which has a more affordable pizza menu. For a cheap, quick meal close to the station, try Brek on the Lista di Spagna, the Venice branch of an efficient self-service chain. At Campo San Felice, look out for the tall skinny house set back from the canal: a very bizarre sight. Around the corner from Campo dei Mori is Palazzo Mastelli, famous for its stone relief of an odd-looking camel. Further along the same canal (Rio Madonna dell'Orto) there's a picturesque little bridge from which you can see over an unexpected marina. This site provides tourist and visitor information for Italy, from Piemonte to Sicily. Designed for travellers from around the world who want to plan a trip, take a holiday, book accommodation in Italy, or just learn more about the country: its geography, art, football, culture and entertainment options.